When will be Tackle My Ride next episode air date? Is Tackle My Ride renewed or cancelled? Where to countdown Tackle My Ride air dates? Is Tackle My Ride worth watching? 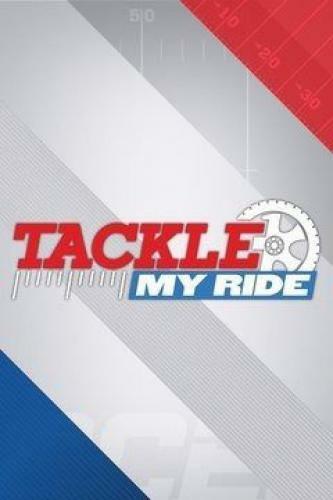 Tackle My Ride is from Executive Producer Michael Strahan, Super Bowl Champion LaMarr Woodley and master car builder James Torrez are surprising deserving fans with current NFL players from their city. Watch as NFL fans get their current ride turned into the ultimate fan car. Steelers Linebacker Ryan Shazier joins LaMarr Woodley and master car builder James Torrez to transform a deserving fan's 2007 Saturn Ion she nicknamed "Brokemobile'' into a baller ride that bleeds black and yellow. San Francisco linebacker Navorro Bowman joins LaMarr Woodley and master car builder James Torrez to tackle a 49ers super fan's last legs sedan and turn it into a sparkling, smooth-running shout-out to 49er pride. Bears offensive lineman Kyle Long joins LaMarr Woodley and master car builder James Torrez to turn a deserving Bears fan's 99' Ford Sport Trac into the ultimate tailgating truck, and give him the surprise of a lifetime. Tackle My Ride next episode air date provides TVMaze for you. EpisoDate.com is your TV show guide to Countdown Tackle My Ride Episode Air Dates and to stay in touch with Tackle My Ride next episode Air Date and your others favorite TV Shows. Add the shows you like to a "Watchlist" and let the site take it from there.